Vancouver’s natural beauty is worth protecting. Our children not only need places to play, but also places to enjoy and explore nature. We all need places of tranquil refuge from our busy lives. The animals and birds that help make our city lives enjoyable need places to nest and raise their young. People and nature in balance is my vision for our parks and recreation system. Beginning in 2018, the City will initiate a Community Panel to explore options for a future False Creek Flats Arterial Overpass. A Community Panel will provide for a deeper conversation and will result in a recommendation by the community for an arterial option that best meets the needs of all partners involved. What is a Community Panel? A community panel is a representative group of residents and businesses who are randomly-selected to advise and recommend a solution on a complex or difficult community issue. All residents and businesses will have a chance to apply to sit on the community panel, however, specific selection criteria is still to be determined. Key stakeholders will also be invited to advise the consultant in the design of the learning program and participate in the learning sessions of the panel. The necessity for a new arterial and overpass is driven by the long-term need to build an over or under-pass to separate the rail corridor from the arterial. 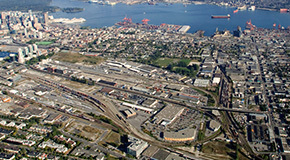 The separation will help to support Vancouver’s role in Asia-Pacific Gateway trade by reducing the impact of rail movement on arterial traffic. The separation will also enhance safety and help alleviate congestion. A recent example of the rail corridor strategy implementation is the Powell Street Overpass, completed in 2014. Since CN increased its rail traffic in January 2017, the City has been working closely with them on safety initiatives and we have been monitoring traffic impacts related to the increase in rail traffic on the Prior/Venables. Currently, the Prior/Venables crossing is experiencing an average of 12.5 blockages a day at around 6.5 minutes each. Since October 2015, staff have been working closely with project partners to identify a route to build an over or underpass to separate the arterial from the rail line, and also downgrade Prior/Venables Street to a local serving street. The consultation and engagement of the arterial overpass was initially included as part of the False Creek Flats Area Plan, but was separated from the planning process when the area plan went to Council on May 17, 2017 to allow for more community input into the process. Currently, the Prior/Venables crossing is experiencing an average of 12.5 blockages a day at around 6.5 minutes each. Stuart has been fighting against privatization of our parks for many years. 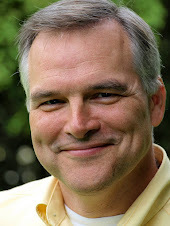 First elected as a Vancouver Park Board Commissioner from 2008-2011, Stuart was re-elected in 2014 and continues to be committed to maintaining neighbourhood recreational services and keeping the 'public' in public spaces.